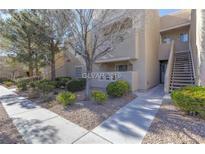 Below you can view all the condos for sale in the La Posada At Summerlin subdivision located in Las Vegas Nevada. 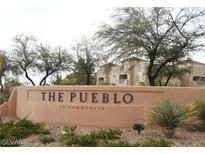 Listings in La Posada At Summerlin are updated daily from data we receive from the Las Vegas multiple listing service. To learn more about any of these condos or to receive custom notifications when a new property is listed for sale in La Posada At Summerlin, give us a call at 702-323-5926. Great Location within the Complex. Community Pool, Gym, and More! MLS#2086977. ATG Realty Group. Great for investment, or first time homebuyer. This property shows very well. 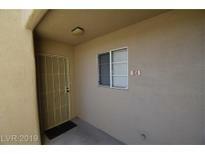 MLS#2079662. Monticello Realty LLC. Summerlin Area 2 Bdrm 2bath Condo Overlooking The Pool In This Gated Community With Coveted Amenities Community Pool Spa Clubhouse Exercise Room & Bbq Areas*spacious Floor Plan*sunny Kitchen With Builtin Micro & Huge Livingroom*large Master With Walkin Closet Secondary Bedroom Is Spacious*great Opportunity For Investment Or Primary Residence! MLS#2077220. Elite Realty. * Near Whole Foods, Soccer complex, Lakes, Jogging trail, Micheal's... the list goes on and on! MLS#2063543. ERA Brokers Consolidated. Summerlin, Of Course, And This Complex Amenities will Impress Any Buyer. MLS#2048204. Urban Nest Realty. Clubhouse, Exercise Room And Awesome Jogging Trail For Your Enjoyment! MLS#2050911. Trade Wind Investments. THIS IS A KEEPER! Ready for move in. MLS#2043519. Signature Real Estate Group. Easy access to shopping and freeway. A lovely unit. MLS#2037744. Property Vegas, LLC. Don'T Wait To Come View! ! MLS#2019867. Turn Key Property Solutions.